Thanks to House Republicans, Americans finally got to hear from the State Department officials the Obama administration never wanted to testify. They are now called “whistleblowers,” but that’s only because their accounts of what really happened in Libya on Sept. 11, 2012, were buried by the administration, apparently in the furtherance of Democrats’ election-year imperatives. Soon after the testimony, Democratic office-holders took to the airwaves and the internet to assure liberal loyalists that there was nothing really “new” here. 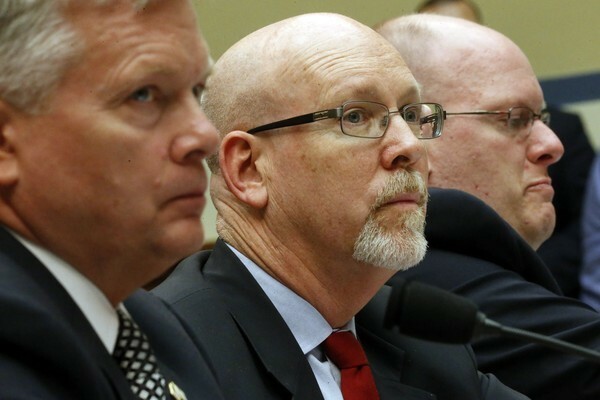 Republicans, by contrast, trumpeted the accounts of Gregory Hicks, Eric Nordstrom, and Mark Thompson before the House Oversight Committee as proof that the administration never told the truth about Libya. Interestingly, both sides are mostly right. Americans who have followed this incident closely didn’t learn much that they hadn’t already suspected about the sacking of the U.S. consulate in Benghazi, the murder of four Americans, and the administration’s extraordinary efforts to deflect any accountability for the tragedy by stonewalling, stalling, and issuing a series of misleading assertions about the sequence of events. Yet in hearing directly from Hicks, who was the deputy to slain ambassador Christopher Stevens, Americans can now put a face to that coverup. Hicks, the second highest ranking State Department official in Libya when the consulate was attacked on the 11th anniversary of 9/11, confirmed the following facts under oath: There were no protests outside the U.S. compound; the anti-Islamic YouTube video denounced by the administration was a “non-event” in Libya and had nothing whatsoever to do with the assault that night; Hicks’ team knew almost immediately that the attack was carried out by terrorists; and all of this information was relayed to Washington in the hours and days afterward. - In the two weeks following the incident, President Obama himself singled out the video as a contributing factor to the attack on four separate occasions (Sept. 18 on “Late Show With David Letterman”; Sept. 20 during a forum with Univision; and twice on Sept. 25, once on the daytime talk show “The View” and again that afternoon at his speech before the United Nations General Assembly). We also know that members of the administration went to great lengths to avoid calling the Benghazi episode a terrorist act. Despite Obama’s claim during the second presidential debate that he had called the assault an “act of terror” in a Rose Garden statement the day after it happened (a claim famously supported by moderator Candy Crowley), the truth is that the president used the phrase that day in a generic sense. We did learn at least two new, relevant facts from yesterday's testimony. One is that Beth Jones, an official in the State Department, sent an email on September 12 bluntly acknowledging terrorists participated in the attacks (“The group that conducted the attacks, Ansar al-Sharia, is affiliated with Islamic terrorists.”) The other is that Hicks said his “jaw dropped” when he heard Rice make her claims about spontaneous protests. Hicks testified that he later confronted her about the comments, and shortly thereafter he was demoted. So, while we may not have been treated to any “bombshell” revelations Wednesday, the testimony of Thompson, Hicks and Nordstrom and a fair reading of the record leads to an obvious conclusion: The president and his administration clearly misled the public about what happened on Sept. 11, 2012.